Using 'Verify Aadhaar Number' tool, an individual can "check if an Aadhaar number is valid or not deactivated", a message on the UIDAI portal read. Aadhaar has been allotted to about 115 crore people in the country. 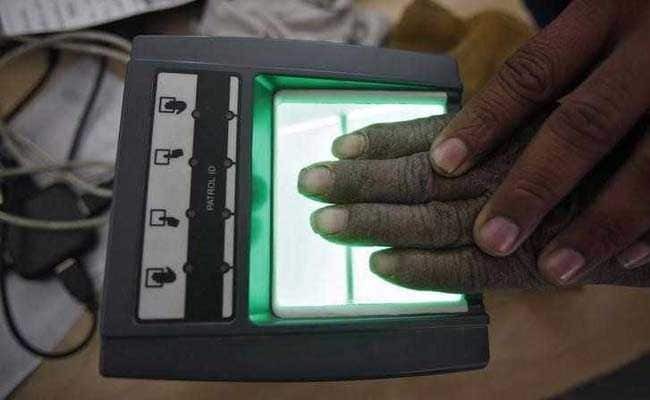 Around 81 lakh Aadhaar numbers - the 12-digit identity number based on biometrics data - have been deactivated by the UIDAI or Unique Identification Authority of India, according to Minister of State for Electronics and Information Technology PP Chaudhary. "Till date, approximately 81 lakh Aadhaar numbers have been deactivated," the minister informed the Rajya Sabha on August 11. Aadhaar, which is issued by the UIDAI, has been allotted to about 115 crore people in the country. As per new rules, quoting of Aadhaar is now mandatory for several tasks such as filing of income tax return (ITR) or obtaining of PAN or Permanent Account Number, a 10-digit alphanumeric number allotted by the Income Tax Department. Did you know that you can check the status of your Aadhaar online? This can be done through a tool, called 'Verify Aadhaar Number', given on the UIDAI website. The tool enables service providers and Aadhaar holders to verify whether their "Aadhaar number is valid and is not deactivated". Using this tool, an individual can "check if an Aadhaar number is valid or not deactivated", a message on the UIDAI portal read. Click on the 'Verify Aadhaar Number ' link on the UIDAI website. The tool - Verify Aadhaar Number - can also be accessed by visiting the homepage of the UIDAI website. Once you are on the UIDAI homepage, find the 'Verify Aadhaar' link on the right hand side of the page and click on it. In the form on the next page, enter the 12-digit Aadhaar number in the relevant box to verify if your Aadhaar number is valid or not deactivated, a message on the UIDAI website reads.